Technically speaking, peanuts were planted and harvested by the Incas and Aztecs to be made into a roasted paste (nationalpeanutboard.com), but the peanut’s popularity in America didn’t start until the mid-1800s. Despite American appetite for this “groundnut” or “goober pea,” the process of planting it was initially cumbersome. But farm production did improve quite extensively with the introduction and evolution of steam- and internal combustion-engine tractors. Check out this chart by SodGod for an early-American timeline on the evolution of commercial tractors. 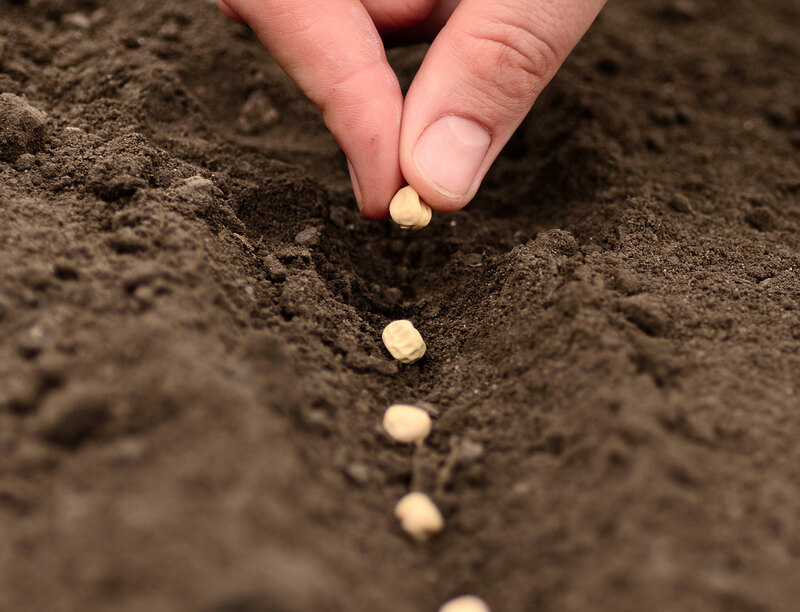 Today, planting is done using industrial peanut planters that seed several rows at a time (Greatplainsag.com; “Peanut Planting 2017,” Blake Majors, 2017). Even though mechanized machinery was introduced in the early 1900s, many farmers continued to rely on good ole horsepower for harvesting, according to Living History Farms (Lhf.org). Today, tractor-towed peanut diggers/inverters cut through the earth to collect several rows of peanut plants at a time, shake and remove dirt, and place the harvested crop aside in rows to be collected later. These rows sit in the sun for several days to dry. A combine, or picker, collects the dried peanut plants, separates the shells from the plant, and uses warm air to cure the peanuts. The peanuts are then delivered to buying stations where they’re cleaned one more time via conveyor belt and machinery (Whitleyspeanut.com; “How peanuts are harvested/picked,” msfirefighter662, 2013). Processing in the old days was done by hand without any standards or emphasis on cleaning the edible kernels. 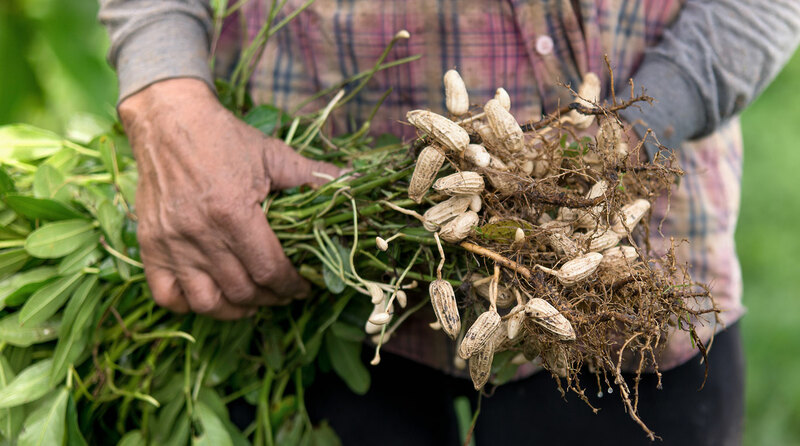 According to goodearthpeanuts.com, around the time PT Bailey, of the eventual Barnum & Bailey Circus, popularized peanuts, the snack often had plant stems and dirt on the kernel. Processing today undergoes an extensive, regulated process – cleanliness goes without saying. The shelling machine uses gravity and a vacuum to separate the kernel from the hull, the shelled kernels are shaken and cleaned via belt, and then a sophisticated electric eye sorter cleans each kernel and removes virtually all foreign material. After being cleaned, the kernels are packed into large bags to be exported or shipped to other processing plants (“From the Farm to the Factory,” Peanut Shellers, 2012). The first step in making peanut butter is, as the Incas and Aztecs had discovered, roasting the kernel. This is where the real magic happens, according to Mark Nazarian, director of sales and marketing of Teddie Peanut Butter in Massachusetts. After Teddie receives these large bags of peanut kernels, they cook the peanuts in an industrial roaster for about half an hour at 330 degrees. The roasted nuts are blanched to remove the brown skin membrane, a bit of salt is added, and then the nuts are pushed into a grinder (“Phantom Gourmet: The Birthplace of Teddie Peanut Butter,” CBS, 2015). Voilá. Out comes peanut buttery goodness. Though he didn’t invent peanut butter, we’re still nutty for for George Washington Carver. He has often been called “The Peanut Man” because of a testimony in front of the US Congress about the many products he created from peanuts. He attests that his peanut studies weren’t even his best or most important work and that he was interested in and invested in many other plants and crops like cotton, soybeans, and sweet potatoes (History.com, Biography.com). Carver created the Jesup wagon, a mobile unit with resources to teach sharecroppers how to use peanuts – which have nitrogen-fixating properties – in crop rotations to revitalize fields (Nps.gov). He also developed several peanut products including flour, paste, insulation, paper, shaving cream, and skin lotion, and he experimented with many medicinal uses (Livescience.com). The greatest lesson learned from Carver is that great discoveries can be made from common, everyday things. And – fun fact – about 50 miles from Pitsco home offices, you can find the George Washington Carver National Monument in Diamond, MO. 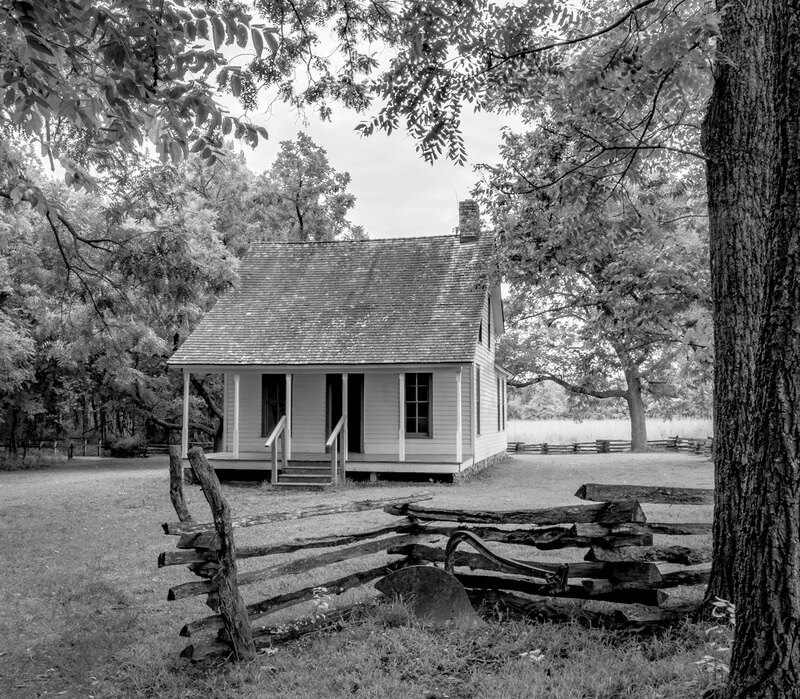 Visit the link to learn more about the park and Carver’s life. 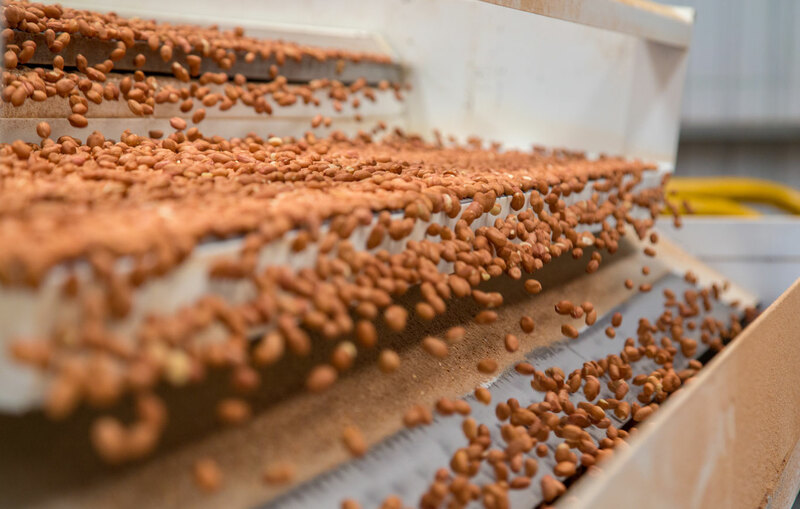 Want to explore more about the modernization of processing products like peanuts in the classroom? Our TETRIX® PRIME Robotics: Automation and Manufacturing STEM Unit is also a great way for students to learn the foundational knowledge that will help them create and improve processes. 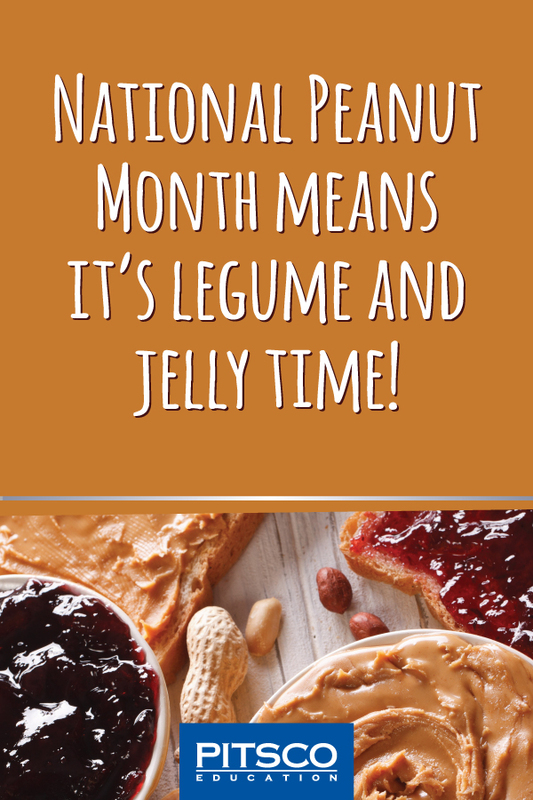 Now, if after all that, you’re left with a hankering for peanut butter, you have a few days left to celebrate National Peanut Month. Please comment below on what your favorite peanut product is.